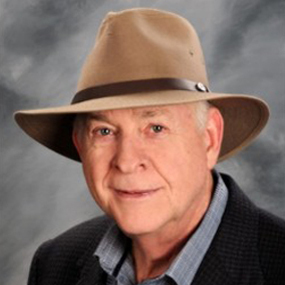 John R. Talburt, PhD, IQCP, CDMP is the Acxiom Chair of Information Quality and Director of the Information Quality Graduate Program at the University of Arkansas at Little Rock (UA Little Rock) where he is also the Campus Director of the Institute for Chief Data Officers (iCDO). In addition, Dr. Talburt serves on the Board of Directors of the Electronic Commerce Code Management Association (ECCMA), is a member of the U.S. Technical Advisory Group to the International Organization for Standardization (ISO) in the area of data quality, and is an advisor to the Board of Directors for IQ International and Editor-in-Chief of the IQ International Journal. Dr. Talburt previously served as the Chief Scientist for Black Oak Analytics, Inc., an Arkansas-based company specializing in data quality and entity identity information management solutions. Prior to his appointment at UA Little Rock he was the leader for research and development and product innovation at Acxiom Corporation, a global leader in information management and customer data integration. Professor Talburt is an inventor for several patents related to customer data integration and the author of numerous research papers and articles on information quality and entity resolution. He has authored a number of books including Entity Resolution and Information Quality (Morgan Kaufmann, 2011), Data Engineering: Mining, Information and Intelligence (Springer, 2010), Information Quality and Governance for Business Intelligence (IGI Global, 2014), and Entity Information Life Cycle for Big Data: Master Data Management and Information Integration (Morgan Kaufmann, 2015). His current research interests are entity and identity resolution, master data management, data governance, and the role of the Chief Data Officer (CDO). Dr. Talburt is the winner of the International Association for Information and Data Quality 2014 Distinguished Member Award and the 2008 Data Management Association (DAMA) International Academic Award. 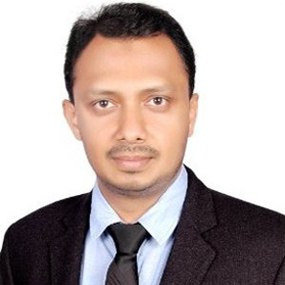 He has earned the Information Quality Certified Professional (IQCP) credential from IQ International and the Certified Data Management Professional (CDMP) credential from the Institute for Certification of Computer Professionals (ICCP). He is also a certified Master Data Quality Manager (MDQM) for the ISO 8000-110: 2009 Master Data Quality standard through ECCMA. 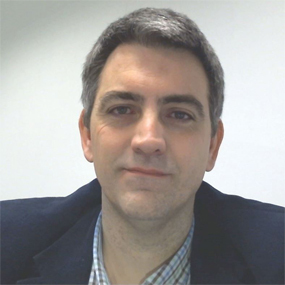 Ismael Caballero holds a PhD in Computer Science from the University of Castilla-La Mancha, where he works as associate professor teaching Software Engineering and Data Quality Management foundations. His main research interests are focused on Data Quality Management, Data Governance, and Big Data. His publications have been published is several international forums like the International Conference on Information Quality (ICIQ). He is one of the General Chairs for ICIQ 2016. Ismael is President of the Spanish Association of Data and Information Quality. He was nominated as national expert by AENOR to work in the ISO TC184/SC4/WG13 and WG23 to participate in the development of international standards for data quality. Dr Salomon de Jager completed his Hons. B-Eng. degree (Mech. Ind.) in 1978. During his 2 year National Service in the South African Army he became an officer, contributed to Weapon Systems Development, Logistic Support System Design and obtained his M Eng. (Ind.) degree in 1981. His thesis was done in the field of systems simulation of the man-machine interfaces on the helmet visor of the pilot of an attack helicopter. Dr Salomon was utilized on the development of models for the establishment of Logistic Data Analysis and data records required for the establishment of Integrated Logistic Software Systems in the Department of Defense. In 1984 Salomon established a consultancy practice which merged into a software systems development house, Paradigm Systems Technology. The company successfully developed and implemented the integrated asset and logistics management for the South African Air Force and Navy. Successful Asset and Maintenance Management systems were also developed and implemented for the Steel, Utilities, Mining, Nuclear, Telecom, Aviation and Petrochemical Industries. This experience was used to complete his PhD in Systems Engineering and Logistic design in 1993. British Aerospace bought Paradigm and Dr Salomon initiated a management buyout for the Industrial Division of Paradigm which became PiLog. PiLog business evolved into catalogue and data content solutions and this led to the establishment of Pilog Data in 1999. It was Dr Salomon’s vision that data and data investments would become the assets of the future and therefore PiLog Data was established to focus on data, schemas, standards and e- solutions. Dr Salomon has been participating in ISO TC184/SC4 since 2006 and initiated a South African mirror committee, SABS TC184 within the South African Bureau of Standards. This acts as the single representation of the South African Industry and Defense input into ISO 8000. Today Dr Salomon is the Chief Executive Director (President) of the PiLog Group. The PiLog Group is established from PiLog International (BVI Company) with companies in South Africa, UAE, Saudi Arabia, India, Russia and USA. Edward has been part of the Transnet family for the past 10 years. Before being appointed as Group Chief Supply Chain Officer, Edward was the Executive Manager for Strategic Sourcing. In this capacity, he was responsible for overseeing all capital and non-transversal operational procurement above R450m. He was also involved in some of the biggest projects at Transnet, overseeing and assisting in the large capital procurement at Transnet over the past 5 years, and the development and prototyping of the Fixed Asset Stabilisation project. Edward has extensive experience in the financial sector where he participated in listing 2 companies on the Johannesburg Stock exchange and was involved in mergers, acquisitions and takeovers. He was Financial Director of a company listed on the Johannesburg stock exchange. He also has extensive experience in the IT, manufacturing, transportation and logistics and management services industries. 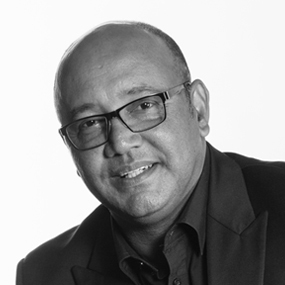 Jacques Rossouw has more than 22 years of experience in transforming and running companies and defines himself as an ‘entrepreneurial technologist’. He spent time working at Aurecon, the Engineering Group (Previously Africon Engineering), as an IT consultant after which he spent six years based in London where he assisted the growth, acquisition and private equity deals of a global financial services group, spearheading the IT and eCommerce platforms, and later became part of Alexander Forbes International through acquisition in London. He returned to South Africa to implement new IT and application strategies for the Alexander Forbes Group. In 2010 he founded a company specialising in unified utility management technology solutions, successfully developing the company following major client acquisitions. 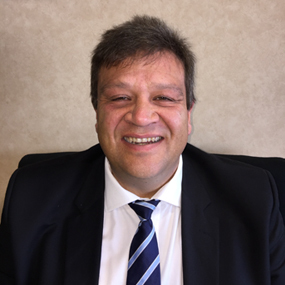 In July 2014 Jacques joined The Financial Services Exchange (Pty) Ltd – T/A ASTUTE as the Managing Director and in January 2016 was also appointed to the position of Group Chief Executive with the establishment of the groups Short Term Insurance Subsidiary. 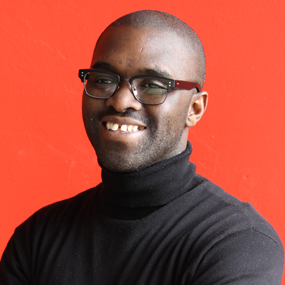 Jacques holds a BSc Degree in Computer Science and Maths from the University of Pretoria (1995) and an MBA from Edinburgh Business School in the United Kingdom (2004). Jacques is also an avid sportsman with provincial and national colours in Triathlon and Cross Country running. These days he spends his time on a mountain bike and have also completed 2 Cape Epics. I am a book, not a magazine to be scanned over, take some time to know the character; there will be something of interest for sure! Deon had the opportunity to study at a variety of tertiary institutions, both within South Africa and abroad. Studying is a hobby for him, even though the time devoted to this has waned over the last couple of years. The subjects fascinating him most are business strategy and human behaviour. He is a restless soul and enjoys experiencing and learning about various industries, which included engineering, insurance, and technology over the last 30 years. He lives by the principle of less is more and if you can’t add value to the process or job at hand then it is time to step aside and allow the most suitable person to take control. He is a keen golfer, however his passion for the game and his capabilities are on opposite sites of the spectrum. Lucien is managing partner of Phukubje Pierce Masithela Attorneys (“PPM”), a boutique commercial law firm focusing on commercial, regulatory and compliance aspects of ICT and information security and data protection. After being admitted as an attorney, he spent two years in London where he was seconded to renowned TMT law firm, Bird & Bird, and global telco – Cable & Wireless. 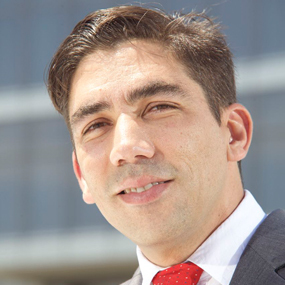 He then spent four years in Webber Wentzel’s TMT department before starting PPM in 2004. Lucien has represented and represents organisations such as ICASA, China Telecoms, Comservice Solutions, Primedia, Afrox and Anglo American on ICT and information security matters. Lucien sits on the Disciplinary Committee of South Africa’s Independent Regulatory Board for Auditors, is vice-president of the International Social Media Association and is a member of the Law Society of South Africa’s DIGITAL LEADers advisory group. Help for the good guys: the FICA Amendment Bill goes a long way to helping our developing country. Lucien regularly presents seminars and workshops on the Protection of Personal Information Act and the Cybercrimes and Cybersecurity Bill. Wesley believes in the value of enabling people to access information. He spends most of his time at the Independent Media Lab nurturing future technology leaders by developing and managing information products (web platforms and apps) for Independent Media. He is the founder of the Infonomist - a technology platform that turns data into valuable information for society. Nicolene is currently employed as a Principal Researcher in Geo-Informatics at the Council for Scientific and Industrial Research (CSIR) Meraka Institute. Her research portfolio include the deepening of the CSIR capability in Information science for spatial information governance and management models in support of Advanced Spatial Data Infrastructure (ASDI), geospatial data processing and geospatial data custodianship. She is responsible for the formulation, development and implementation of the Research and Development (R&D) strategies for information science for ASDI. 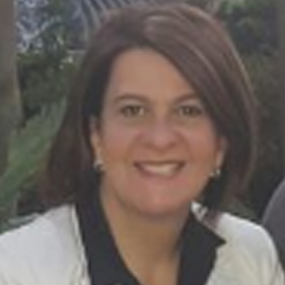 In addition she is dedicating significant time to investigate the economic expression of spatial information governance and management activities along the development value chain. Nicolene holds a BSc in Geography, Masters in Business Administration and is currently extending her studies in to Environmental Economics. She is a registered Professional GISc Practitioner with the South African Geomatics Council (SAGC). She has 26 years of operational, managerial and strategic experience in the Geomatics field ranging from surveying support, cartography, photogrammetry and GIS. The last 11 years was dedicated to SDI development on an organisational, sectorial and national level. She is the chair for the Data Sub-committee (CSI:DSC) for the Committee for Spatial Information(CSI), the national Spatial Data Infrastructure (SDI) statutory body in South Africa. As chair she directs the SDI workprogram for data custodianship, metadata and SDI integration within the terrestrial, coastal and marine spheres on a national level. She is also the national coordinator for the work group on Economic Application of the South African Spatial Data Infrastructure (SASDI). Johann van Tonder is an economist and financial wellness researcher at Momentum. He worked as an economist at the National Treasury before taking up an economics and personal finance journalist position at a prominent newspaper. Thereafter he worked at an asset management firm focussing on multi-managed funds, before moving to the Bureau of Market Research at Unisa. He holds a M.Com (Economics) from the University of the Free State and also did courses in a number of other fields, including behavioural economics. His current focus areas are the macro-economy and behavioural economics with a specific emphasis on developing financial solutions for households. Peter Blignaut started programming computers using BASIC when he was 12 using an Apple IIe. He spent his early working life on a variety of systems development and implementation projects. In 2007, frustrated by successful implementations that seemed to leave users with more functionality and less information he decided to move into Business Intelligence. He quickly discovered that Business Intelligence has little value without good data. Today Peter is part of SAP Africa where he focuses on Enterprise Information Management. In this role he helps customers from South Africa as well as regional centers in Kenya, Nigeria and Morocco to address data challenges. Hs focus is on using SAP Master Data Governance, SAP Data Services and SAP Information Steward to address the challenge of converting data into information. 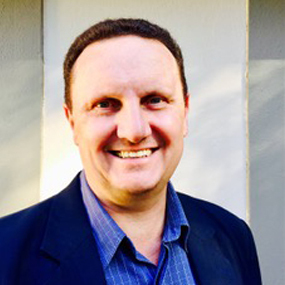 Willie Snyman is an Executive Coach and Partner at Change Partners Coaching. He retired as General Manager from Astute Financial Services in March 2016 where he previously filled the roles of Head of Business Development 2007 – 2013 and acting Managing Director during 2014. He holds degrees and certificates in Psychology, Management, Financial Planning and Neuro-Linguistic Programming. He is a member of the Financial Planning Institute (FPI), COMENSA (Coaches and Mentors of South Africa) and the Black Management Forum (BMF). His focus is change management, leadership development, conflict resolution and enhancing team performance. 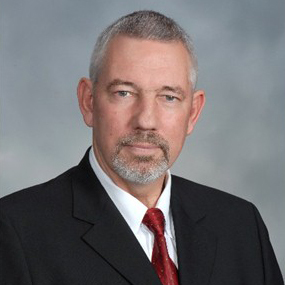 Reinhard is the International CEO of PiLog, responsible for Europe, Russia and CIS countries. Reinhard started his career as an telecommunications engineer in the laboratories of Telkom after completing his Electrotechnical Engineering degree at the University of Pretoria. Seven years later, he joined the Pretoria Municipality where he held several posts and ended up being responsible for all maintenance and construction activities of the electricity distribution network of Pretoria East. He completed his MBA and joined Paradigm Systems Technology as a asset management and maintenance consultant and implemented Maintenance and ERP systems at various large industrial Clients in a variety of industries. Reinhard later joined Paradigm Systems Technologies as a maintenace and storees management consultant, and picked up vaulable experience in a variety of industries across southern Africa. He was then part of the management buy-out of the Industrial Division of Paradigm to form Pi-Log where he continued to combine his wide experience in the implementation of ERP systems with his in-depth knowledge of Cataloguing and Master Data creation and maintenance to head up the Marketing Department of Pi-Log, driving all PiLog’s marketing activites world wide. Since then, Reinhard started a new office for PiLog in Russia and has progressed to the position of CEO of the Europe region. 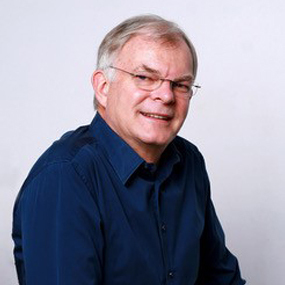 Reinhard is an acknowledged international speaker and has addressed audiences in South Africa, the USA, Australia, Europe and Russia on the subject of Master Data Management. Senior executive with vast experience & expertise in conceiving, designing & building enterprise solutions for medium to large corporates; designed SaaS, Data Analytics, Data Governance, Cloud & On-Premise business models. Managed & strategised Research, Innovation & Development of strategic products & solutions in the field of master data governance, management & data transformations. Strategic visionary, with deep business, engineering & technical knowledge of the latest market trends & evolutions, Extensive knowledge of data science, real-time, grass root level issues of medium to large industry practices of business operations. Worked extensively in various senior executive levels across multi-national teams internationally, a team player, innovative thinker & go-to market strategist. Mr Strydom has a Mechanical Engineering degree from University of Pretoria, South Africa, and furthered his studies with a MBL from Unisa. He started his career at Eskom as Maintenance Engineer in the nuclear field. He was member of the nuclear governance body monitoring and controlling all nuclear related activities at Koeberg Power Station where he managed a number of research and development projects on behalf of Eskom. 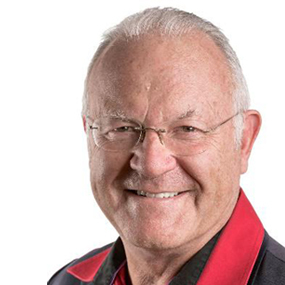 Mr Strydom continued his career with PiLog and is currently the General Manager for PiLog Africa Region. 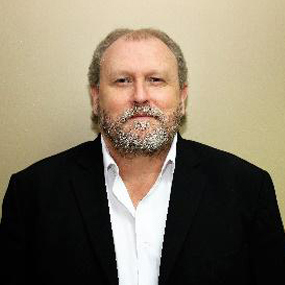 Mr Strydom is well known in South Africa and the Middle East for his expertise in Master Data Quality Management. Mr Strydom is contracted by numerous clients to assist with the establishment of a Master Data Management strategy for their companies. 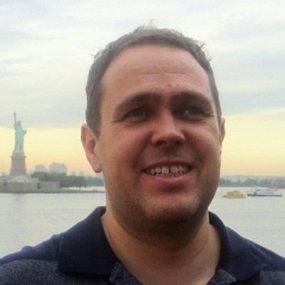 Mr Strydom is involved with the development of Master Data Quality Standards and was one of the initiators and developers of a Master Data Standard and Methodology for Services. Mr Strydom is currently a member of the ECCMA board of Directors and the Chairman of the ECCMA Services Industry Content Standardization Council (SICSC). 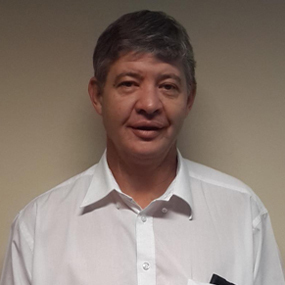 Mr Strydom is the vice chairman of the SABS technical work group (TC 84) looking at the Implementation of ISO 8000 as official South African standard for Master Data Management. 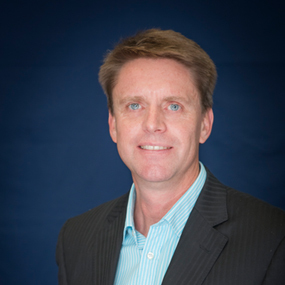 Mr Strydom is the Financial Director for DAMA South Africa and the CEO of PiLog Africa Region. Mr Strydom can be contacted at Pieter@pilog.co.za. Christo van der Rheede is the Deputy Executive Officer of Agri SA, South Africa’s leading organised primary agricultural establishment. His key focus areas entail high level engagements with government regarding a wide range of policy developments and practical interventions. He headed the Agri SA team during Operation Phakisa on Agriculture, Rural Development and Land Reform in 2016 and was instrumental in the design of the farm worker housing and land ownership program as well as the initiation of the development of a demand led private and public sector integrated training programme for the agricultural sector. He was also responsible for the roll-out of the private sector driven Agri SA national drought disaster relief strategy in 2016 and assisted approximately 15 000 small scale and commercial farmers as well as 36 000 farm worker family members all over South Africa with various forms of drought aid. Currently he is responsible for the roll out of a multi-sectoral agricultural transformation hub consisting of various stakeholders active in the agricultural space with training, land reform, post settlement support, extension services, AgriBEE advisory services, farm worker equity schemes, etc. With 30 years’ experience as an educator, school principal, as CEO of a community empowerment trust, as CEO of an organised small business empowerment and now as Deputy Executive Officer of Agri SA, Christo van der Rheede places huge emphasis on social cohesion, people development, community empowerment and alignment of government policies and private sector initiatives to bring about opportunities for all South Africans. He completed his BA degree with UWC, attained an Honours and Masters Degree in Public Policy Analysis and Leadership with Stellenbosch University and completed a General Management Certificate with the Stellenbosch Business School in Marketing, Finance, Human Resources and Risk Management. 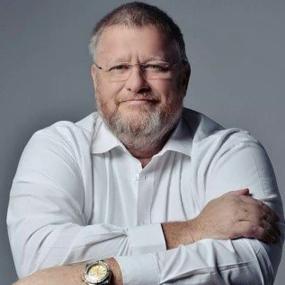 Adri Senekal de Wet is the Executive Editor of Independ Business, the editor of Business Report and Personal Finance, print and on-line, South Africa’s biggest national financial publication with a daily readership of 2 million readers in print and on line. She started her career as a money market trader, where after she was appointed as economics and financial markets editor of various financial publications. She then started her own company, and was integral in the listing of various companies on the JSE, with the likes of PSG and Capitec, to name but a few. She is passionate about life. And making a difference. In a world challenged with fake news and negativity. 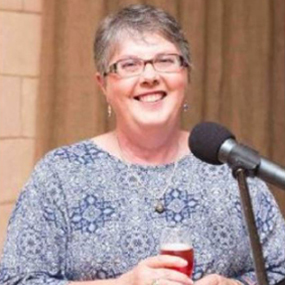 Since she was appointed as a white Afrikaans woman at Independent Newspapers, she faced many critiques but survived … she believes that “good news sells”, she never hesitates to take on those that attack our country, like the rating agencies; she strongly believes that “we can take South Africa forward, together”. It is my privilege to introduce you to Adri Senekal de Wet. 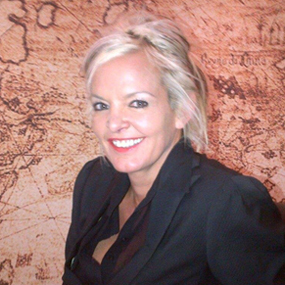 Charene Nortier has been at the FSB for 10 years, prior to that she worked in the banking sector in various roles. She has a post-graduate diploma in compliance management from University of Johannesburg and a Master’s degree in Fraud Risk Management from the University of Pretoria. Mr Gideon Huisamen completed his National Higher Diploma in Cost Accounting in 1989 and then his Bachelor in Commerce (Finance) in 1996. He worked as a Management and Cost accountant for 16 years in South Africa with a Telecom Company and also later in a food Canning Manufacturing Company. In 1996 he joined a software development House Paradigm Systems Technology as Functional Specialist in the design and implementation of the Procurement, Inventory and Financial Modules, which was part of the bigger Enterprise Asset and Maintenance Management Systems. The company Pilog was then created in 1998 as result of a management buy-out from the owners of Paradigm System and Mr Huisamen became one of first shareholders of this group in 1998. Mr Huisamen headed the development and implementation of several strategic PiLog decisions such as the creation of a Middle East and India region; the establishment of a second data refinery, which now employees over 120 employees; the enhanced development of new governance software; and the development of master data acquisition tools. In the beginning of 2005, Mr Huisamen was appointed General Manager of various Pilog Offshore entities. He currently serves as one of the Board of Directors in Pilog International group and as the CEO of Pilog Americas, Middle East and India. Natie’s career in the Telecommunication industry spans 30+ years of various facets from technical, financial, training, transport and mechanical, supply chain to systems development. He has been involved with various ERP systems for the last 17 years. He played a pivotal role in establishing an Electronic-Procurement vision, strategy and platform as well as MDM strategy and was the Program Manager for various major programmes. Natie holds a B Com and MBA (University of Pretoria).